I’m pleased to announce that my fifth book, Unlimited Intuition Now, was just published today, Jan. 28, 2016. Read Unlimited Intuition Now to develop your own psychic abilities so that you can receive guidance from your soul. Many people believe they aren’t intuitive, that they don’t have any psychic gifts at all and that the woo-woo stuff is for somebody else much weirder than you are. Personally, I don’t believe that is the case. From my work as a medical intuitive healer and having trained all kinds of people over the years to open their psychic gifts, I believe you are intuitive even if you haven’t yet recognized exactly how you receive your information. You have intuitive gifts because you have a soul. I believe you always have access to your intuitive gifts if you just stop long enough to pay attention. You can be trained to learn how to operate these gifts and use them for your own benefit as well as possibly blessing the lives of others. 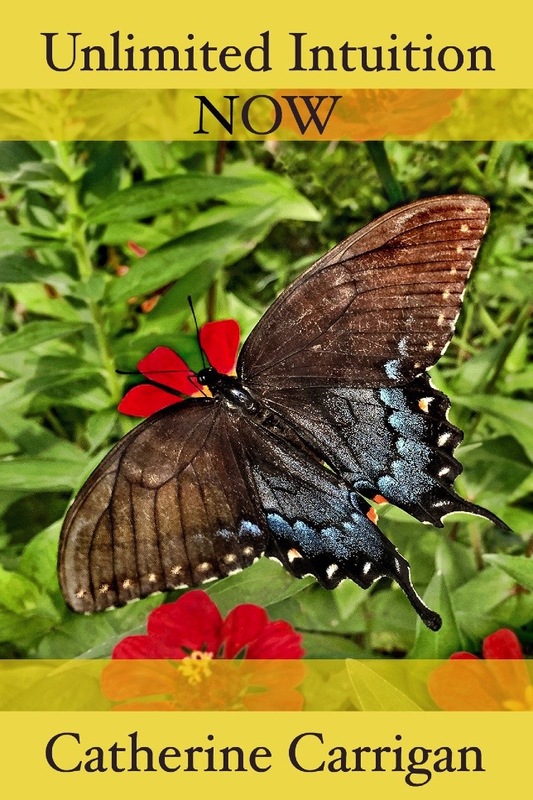 My photograph of a beautiful swallowtail butterfly graces the cover of Unlimited Intuition Now. Many thanks to Ken Rubin, cover design; Tony Kessler, editor; Steve Piper, audiobook production; Holly Parsons, voice talent; Denise Cassino, Amazon marketing specialist; Ramajon Cogan, formatting and ebook production; Robin Charlsen, Twitter specialist; Scott D. Smith, SEO expert; Greg Keesey, website manager for all their love and support. The paperback was just published today. Coming soon: the ebook and audiobook versions. Personally, I recorded the prayers in the book in my own voice and have been listening to them on my iPhone whenever I get in the car to travel. I feel greatly uplifted every time I listen and it is my hope that you are blessed with the same experience. Thank you so much for reading my blog and my previous books. Unlimited Intuition Now is my favorite book so far I hope you will treasure it as much as I do! Catherine so happy to share this moment with you. Can’t wait to read your new book and grow in humility, grace and love.